Benefits of Google AdWords for your business. Birthing of the Internet and digital space has taken the advertising industry on a ceaselessly significant evolution. Every person is getting accustomed and introduced to Internet, its ease of usage and the potential it holds. Hence, the digital space has become a vital space for advertising and having a more age specific target audience makes it even a more stronger space. Sensing the significance and its vitality, Google came up with Google Ads which is now known as Google Adwords. We’ll quickly have a look over the essential points which make it a vital tool for your business. The foremost benefit of Google AdWords is that it works faster than SEO. SEO and Google AdWords both, are search engine marketing strategies to generate more traffic and leads. But, a well optimized AdWords campaign can work much faster for a business to get the most aimed first spot after a related search. It helps you to focus on multiple keywords at a time, turn the campaign on or off whenever you want to and distinctively gets immediate visibility for the ads. Google Adwords helps you to create brand awareness amidst people which is lacked when it comes to SEO. The topmost spot solely depends on the ranking and the number of searches for your brand, hence Google Adwords plays the game strong here. A Gmail Inbox is kind of home to every internet user and Google Adwords help you reach that space too! 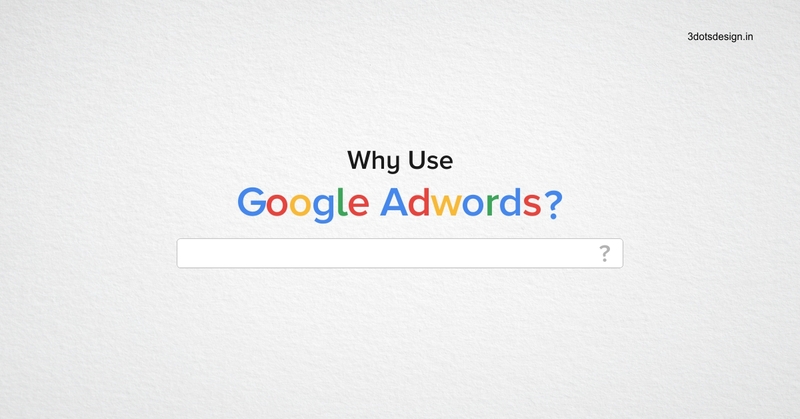 This is one vital arm of the Google Adwords which helps you advertise your brand efficiently. One of the coolest function of Google Adwords is that it helps you to reconnect with your website visitors. So, people who have visited your website but didn’t press for the service/product can be smartly accessed and converted via Display Remarketing and RLSA campaigns. How about getting your performance report cards? Well, when it comes to outdoor advertising, newspapers, radio, Tvcs and more, you can’t really know your exact reach and just keep on the guess work. Also, you can’t map the outcome of them. But Google Adwords eliminates all that and gives you precise numbers of your Ads performance and reach. It is also less costly than other ways of showcasing. How long a visitor stayed on a page, how many pages have been visited, bounce rate of your landing page, details about new visitors and returning visitors and much more. These all features that Google Adwords provide has just transcended the advertising scenario into something which couldn’t have been thought as possible in the past. When it’s business, it’s competition! And Google Adwords helps you keep an eye on your competitors. Searching for your product online and checking for the paid ads can narrate you the story of what your competitors have been aiming it which can greatly help you take the needful steps. Such thoughtfully designed features, precise mapping of your everydaybusiness and sensing the future indeed makes Google Adwords a master tool of the Internet Advertising.